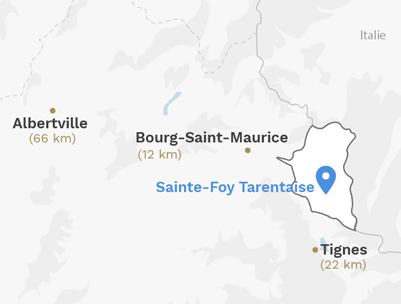 Surrounded by the mountains of the Vanoise National park and with a unique view of the Thuria glacier, Sainte-Foy en Tarentaise is also a village where you find tranquillity and all the facilities allowing you to unwind. Sought after by those looking for an authentic setting, Sainte-Foy Tarentaise has magnificent hamlets dating back over 100 years and beautiful high altitude lakes. Also impressive are the numerous streams winding their way between the chalets, adding a refreshing ambiance to the summer scene.